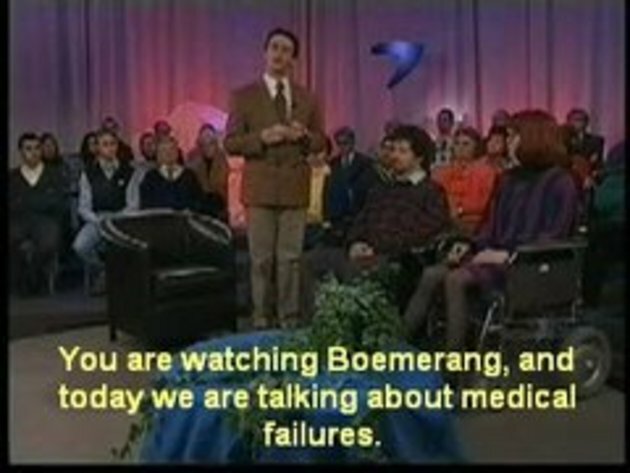 The famous Boemerang TV show. Spoken in Dutch, with English subtitles. fake ... ? It was not fake tho. That was funny. But whoever made this video, should've taken out the radio, and the speaking to a camera out. this is a scetch show called "in de gloria" made in belgium . this is only a small part of the show . it had various of great scenario's. this is from the time when human interest was all over tv and those guys just made a perfect parody about that with all kinds of wierd situations . really good show if you understand the language. not a funny enough idea to last the whole sketch. a bit lame actually. @10 and you are a litte un-intelligent? #12 Once you talk to a silly Canadian you realize they aren't American. Valair can you Sing Trololo?